Zombie Hell 3 is a brand new game from the makers of the Zombie Crush, Zombie Crush 2, Super Goalkeeper, Zombie Hell and Zombie Hell 2. 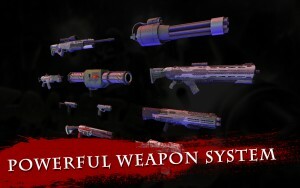 New weapons and zombies, more divine combinations and challenging game modes brimming with super weapons! Is this your hell because you are surrounded by zombies? Or is it hell for the zombies because they ran into you? Zombie Hell 3 is a challenging and exciting first-person zombie shooting game. Pick up one of the many different weapons in your arsenal and make sure the dead stop walking! 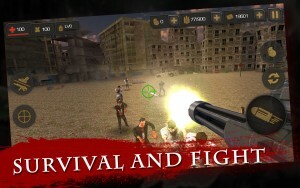 Defend against zombies in various missions and modes in which the zombies threaten you. Zombie Hell 3 throws a lot of challenges at you which get more challenging as you get better. By successfully completing the missions, you unlock more weapons, releasing the tension a bit, but is it enough for your survival? Give the zombies hell by shooting them from the air in Air Raid. They can’t hurt you but you giving them hell is limited by time. Compete against your friends and the world by competing for a place on the leaderboard in Endless mode. ★★★★★Various challenging modes including Air Raid.